The young upstarts in Nü Age Syndicate have had quite a break out year in 2013. Although they're still in their teens, they've managed to carve out their own path in their first recognisable year making music. Chester Watson kicked of proceedings with the release of his mixtape Phantom, which received major praise for fans and critics alike. Following the mixtape Chester released a few dope collaborations with producers such as Art Vandelay, and an instrumental mixtape entitled Guru Vol 2. Another Nü Age member making waves in 2013 is Comme, who exclusively dropped his single "Tin Trees" here on EARMILK last week ahead of the release of his mixtape next year. Today however, it's all about another part of Nü Age Syndicate, young emcee Breeze Pachino. The teenage wordsmith has been fairly quiet this year, as his Nü Age counterparts have been making ripples in the hip hop world. But with the year drawing to a close, we finally have some new material from the Florida native, and it comes with a little help from his homie Chester Watson on the boards. 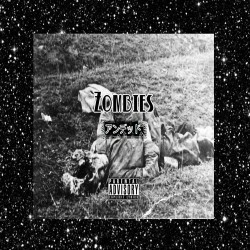 "Zombies" is both laid back and invigorating, with a boom bap beat that is sure to make your head nod. The instrumental also features an outlandish harmonica sample that gives the track a dark edge to it. The most important factor in this track however, is how Pachino graces the beat, and he does it amazingly well, considering we haven't seen much of him this year. He delivers his lyrics with in a slick and confident style, as his flow follows the beat perfectly. Adding in the pitched down vocals on the hook, "Zombies" is proof that Nü Age are definitely doing all the right moves to bring in a nu age of hip hop. Stream and download "Zombies" below, and keep your eyes and ears peeled onto EARMILK for any new music from the Syndicate.